The Musical Moments Trust was established in memory of an inspirational little boy who, regardless of his treatment and what was happening around him, positively embraced life and surrounded those around him with happiness. Yellow was his favourite colour and one vital resource that assisted him with having a positive attitude was music. This included singing, dancing, playing an instrument and creating songs. Music can be a great source of enjoyment, comfort and self-expression for children during their treatment, particularly in times of isolation. Music therapy is a fantastic way for them to express their innermost emotions regarding the circumstances encompassing them. While music therapy is offered to patients during their time in hospital, once a child goes home they no longer have access to this wonderful service. 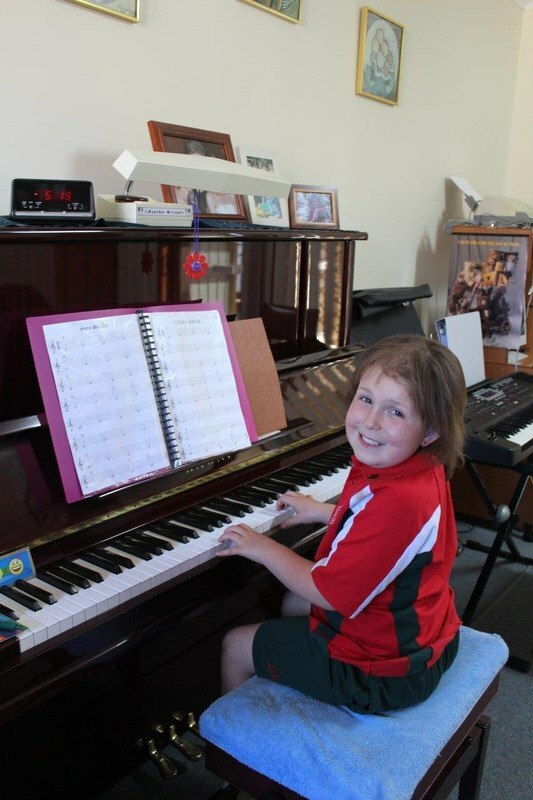 Challenge has established the Musical Moments Trust Scholarship, which is offered to primary-school-aged children to fund positive musical experiences for them as they move through their treatment and beyond. Past recipients have enjoyed private and group music lessons, home visits from a music therapist, musical instruments and the chance to create and record a song with a musician. Each year, Challenge encourage schools around Victoria to host ‘A Day in May’; an annual campaign for primary schools, kindergartens and child care centres. All proceeds raised go towards the Musical Moments Trust, which enables Challenge to continue to provide children living with cancer funding to access music based activities. Applications are due at the end of the April and September school holidays, with funding awarded in May and October. To apply for the Musical Moments Trust Scholarship, download your application form here. Alternatively, you can complete your application online.